It’s time to give away another MagnetMat! 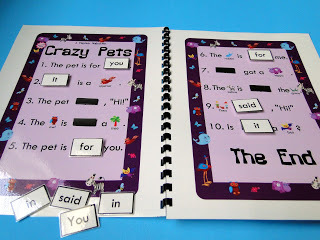 This is a sight word, fill-in-the-blank activity for the sight words you, it, said, for, and in. 1) Share my FB url link on your wall, blog, twitter, etc. The link is http://www.facebook.com/flapjackeducationalresources. 2) Comment on this blog post with the phrase “I shared” or whatever floats your boat :P.
That’s it! This Friday at midnight I will randomly choose a winner and mail them their MagnetMat. These are super fun and my students love the Spanish ones I’ve created. It looks great and adorable! I shared! And thanks for this offer! LOVE your stuff – about to start Spanish with all my little ones, so we are looking forward to using so many of your products.